The signalized intersection at the northbound off-ramp provides primary access to the Town of Windsor at the Downtown interchange. 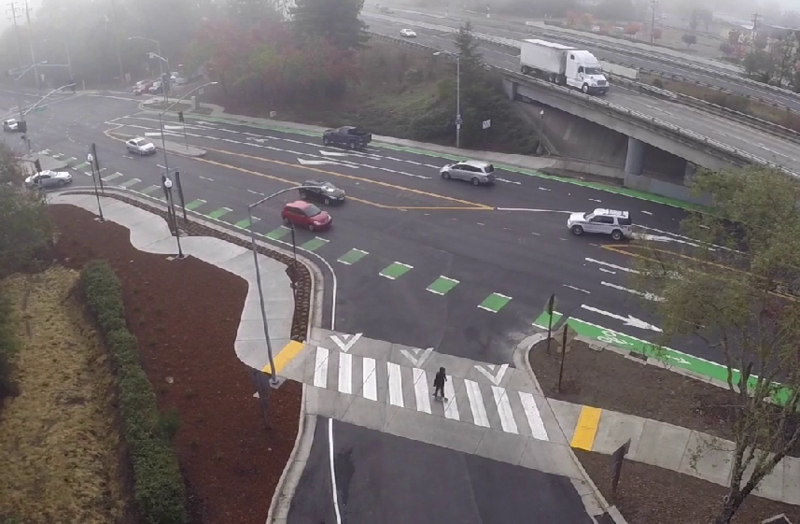 In order to address gaps in both the bike lane facilities and pedestrian sidewalks, W-Trans provided design services for roadway geometrics and traffic signal modification. 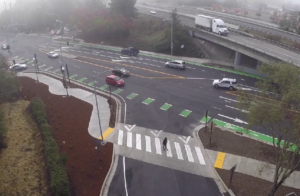 The project included widening to provide bike lanes where sufficient width could not be obtained through narrowing travel lanes, installation of sidewalks and a speed table on the northbound on-ramp, and modification of the Lakewood Drive approach to include an additional left-turn lane as well as a crosswalk. Working collaboratively with Town staff and Caltrans, the project was fast-tracked, including approval of a design exception for the narrow lanes as well as clearances.